The Shoprider Traveso disabled scooter has a durable rustproof cover to keep you dry. The windows can be opened, and the doors can even be removed to give you ventilation as well as safety and protection. The windscreen wipers and rear view mirrors are also fitted as standard, and there is a handbrake for your additional safety. 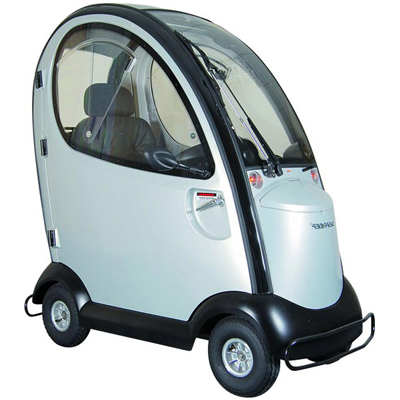 The Traveso scooter is also lockable so it can be left safely.